With Roxy Music and as a longtime solo artist, British singer-songwriter Bryan Ferry crafted elegant pop/rock tunes full of grace, passion, and blue-eyed soul sensuality. During the 1980s, an era in which so many artists tried to match or exceed Ferry's sophisticated pop mastery, few new wave, synth pop, and New Romantic artists proved capable of producing songs and performances so mesmerizing. 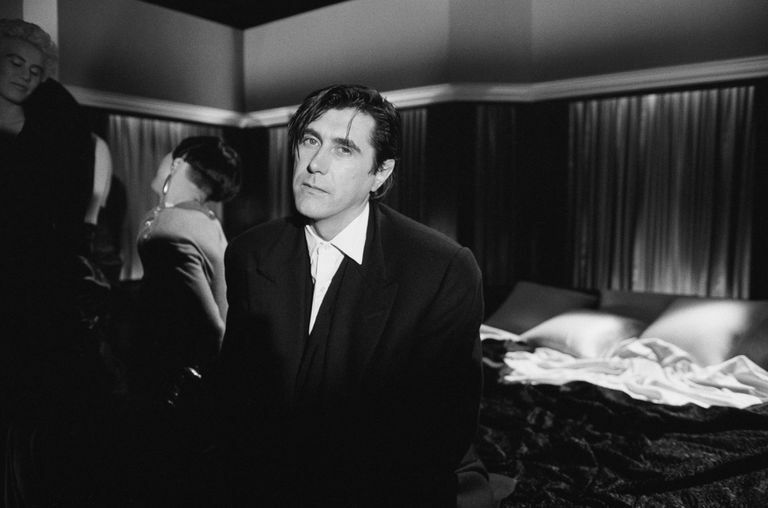 Here's a chronological look at the best Bryan Ferry solo songs of the '80s, a select list culled from just two studio albums and a handful of movie soundtrack singles. During the first half of the '80s, Ferry produced a number of stunningly elegant pop tunes full of atmosphere while still fronting Roxy Music. When he officially returned to solo status in 1985, Ferry remained one of the finest practitioners of romantic, post-new wave love songs. This lead-off single features a lovely, signature verse melody that creates an entrancing and emotionally charged gauze of sound. As a single, this worthy track went absolutely nowhere on the U.S. charts, but it became a top-10 hit, appropriately, throughout the British Isles. Ferry continued down a similarly ethereal path for his very next single, employing the same kind of tastefully restrained soundscapes he'd navigated since Roxy Music turned from art rock and glam rock impulses in the latter '70s to smoother modern pop. Nevertheless, the mildness and occasionally repetitive nature of this track don't take away from Ferry's obvious grasp of his own strain of melancholy, slightly challenging adult contemporary fare. Not only this song's title but also its alluring instrumental structure suggest transcendence and wistful contemplation. Guitar contributions from Pink Floyd's David Gilmour (as well as a number of guest musicians) combine with tastefully employed alto saxophone to create an almost smooth jazz/new age feel. Nevertheless, Ferry's longtime mastery of pop and rock genres keeps this track's sound from seeming too self-indulgent. Ferry's music has always incorporated a sultry brand of easy listening style, but his off-kilter crooning keeps things always refreshingly off-balance. As the lead-off track from 'Boys and Girls,' this mid-tempo, something-for-everyone endorphin booster gathers all the best elements of Ferry as a performer, songwriter, and tastemaker. Gilmour's guitars again cut through the instrumentation, and while this may not be Ferry's edgiest work by a long shot, the resulting ear candy delivers plenty of pleasing vibes. The blazing popularity of fellow sophisticated English pop bands like Duran Duran and Spandau Ballet may have already begun to fade by now, but Ferry — as usual — is essentially just getting warmed up. Ferry's 1987 album continued to focus on the artist's tendency toward danceable, slightly funk-influenced pop music. However, for all the rhythmic guitar riffs, Ferry injects here a sweeping melodic centerpiece that helps make up for the overly repetitive nature of the song's chorus. Overall, this record experienced a slight dip in commercial success, especially in terms of its three singles ('The Right Stuff' and 'Limbo' were the others). Nevertheless, this track maintains Ferry's buttoned-up but still entirely passionate brand of soft rock. Thanks to the continuing presence of guitar work from Gilmour and — in the case of this album — The Smiths' Johnny Marr, Ferry wisely stayed at least somewhat true to his edgy rock music past. In fact, such a resulting contrast between haunting synthesizers and soulful backing vocals helps this deep track generate its share of surprises. Overly repetitive at times, the music from 'Bete Noire' doesn't measure up to Roxy Music's-era brilliance, but it still delivers enough uniquely Ferry moments to satisfy more often than not.